After completing a two-year vocational program at Noroff you will have the opportunity to take advantage of our excellent cooperation with International Universities, and apply directly into the third year of a Bachelor Degree program. Noroff has a close cooperation with several foreign educational institutions. The agreement states that you will receive full accreditation of the studies that you have completed at Noroff. This gives you the opportunity to apply directly into the third year of a Bachelor Degree program and complete it within one academic year abroad. After completing two years of online or on campus studies at Noroff vocational school you will have a thorough vocational education and lots of practical experience. 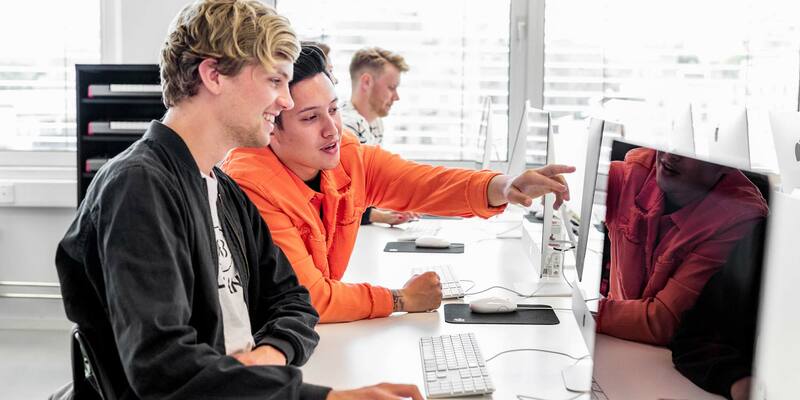 Students who have completed Network and IT Security, Sound and Music Production, Film Production, 3D Game Design, 3D Film Production or Graphic Design, are eligible for a year abroad through our 2 + 1 arrangement. Some universities have a minimum requirement GPA and may look at the portfolio from Noroff when they decide if you can be accepted. In certain circumstances it is needed to have an interview where they assess the Bachelor program in which you are applying for. Every year representatives from Universities visit Noroff. The visits happen during our international week, which is held during the month of March. During international week, students become familiar with the study programs at Noroff and if needed, pick one that suits them. Online students are also welcome to attend the international week. The Norwegian Loan Fund can provide full scholarships and loans for Norwegian citizens. Foreign students may receive some assistance from the Norwegian Loan Fund however; it is not guaranteed. After completing the full 180-credit bachelor program you will have 120 ECVET credits from Noroff and 60 ECTS credits from the university abroad. If you are interested in 3D, game design or graphic communications, this could be the university for you. Deakin has TV, sound and movie studios, and is competent in digital media, visual communication and design. The University of South Wales is skilled whith 3D, sound and music, and network and security. Get a Bachelor's Degree of Arts in Motion Picture Medium in South Africa, along with cultural experiences.